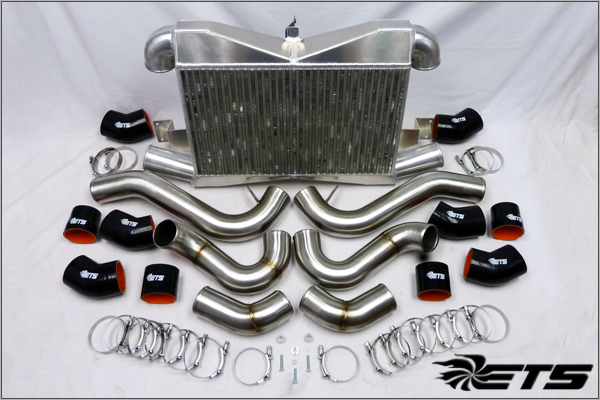 We are proud to release our new Extreme Turbo Systems R35 GT-R Race Intercooler Kit. 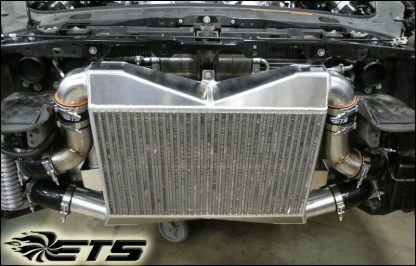 This thing is monstrous compared to the stock intercooler and all other aftermarket intercoolers. Before coming to the conclusion of using a large vertical flow we weighed all our options with a huge horizontal flow intercooler. The problem with the horizontal flow intercooler is you have to split the intercooler into two sections one for each bank. The bank using the bottom of the core would have considerably lower IAT then the bank using the top section of the core which would be hidden behind the crash beam and tucked behind the bumper cover. The tall vertical flow (ETS GTR Race Intercooler) allows for the exact same amount of surface area on both banks. 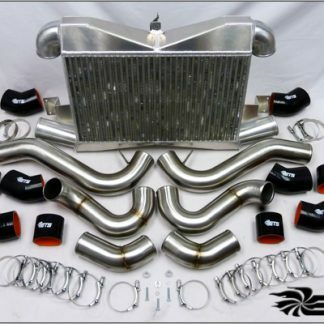 This kit will feature 3.0″ stainless steel piping (Flat Black, Gloss Black, Polished or Brushed) your choice of blow off valve flange TiAL, HKS, Greddy, Turbosmart and more! 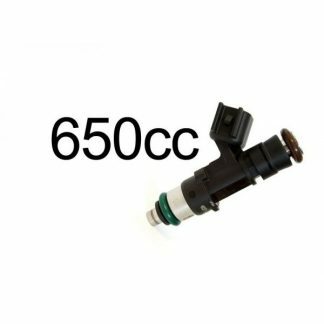 Works With Factory Blow Off Valve Pipes Or Aftermarket Stock Replacement Blow Off Valve Pipes (Optional Upgrade – Contact Us. 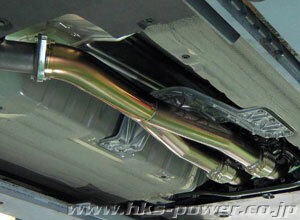 Blow Off Valve Pipe Options Include – MAP Sensor Mounting, MAF Sensor Mounting and Blow Off Valve Flange. Contact Us.